If All Or Nothing the new EP from UK rockers Velvet Star is like for us your first introduction to the band then hold tight for one high energy heart bursting ride of pure rock n roll. It is an adrenaline rush to leave one breathless and exhilarated. Whether the release offers anything openly new is arguable but it really does not matter when the songs making up the EP are so deeply satisfying and invigorating. The quartet from Yorkshire began in 2007 with brothers Danny (vocals) and Corey(bass) Jones. The following years saw plenty of line-up changes as well as their well received debut album In The Face Of Vanity through Rocksector Records. Featuring on the cover CD of Classic Rock as well as playing across the UK alongside the likes of Faster Pussycat, The Treatment, Star Rats, GUN, and Vains of Jenna to name a few, has also marked the rise of the band to date, something the new release will surely take to greater places. Spring of this year saw another change with the addition of guitarists Mewsy (Ex SilverJet) and Robbie G (Ex Slash Vegas) to the band alongside the brothers and drummer Ginna, as Velvet Star set in motion the beginning of All or Nothing. Recorded alongside Matt Elliss (Black Spiders), the EP finds the band returning bigger, mightier, and with an increased determination and passion, the songs themselves the open proof. The release opens the riotous fun with Bring It On, a thumping attitude driven feast of snarling bass riffs and scything guitar strikes. An immediate bruising friend to take on all comers, the track has the pulse racing and militancy flaring from its combative energy and fiery melodic guitar streaks of sound. With muscles bulging and chest fully extended, the infectious rampage just ignites the passions in a storm of insatiable and rewarding pure rock n roll, something the very best releases always manage to do. From such an impressive and triumphant start things actually get even better, the release finding elevated plateaus track after track. The following Crash & Burn is a greedy heavy footed gem, a blistering stomp sounding like a mix of Buckcherry, Dope, and Marilyn Mansion wrapped in a healthy piece of Trucker Diablo aggressive energy. It has a slower swagger than the opener but a scorching groove which captivates the imagination with wanton ease. If listening to the time bomb of contagion your toes, feet, limbs, and heart are not in motion with its stroll… then call the paramedics, you may be at deaths door, such its irresistible lure. It is hard to find any flaw with the songs or release, nor the inventive songwriting and skilled delivery, other than there is only four songs, greed taking over as the EP boils the senses persistently. Glad You’ve Gone is a great blues soaked slab of rock majesty, the over catchy chorus and magnificent guitar work from Mewsy and Robbie G manna from rock heaven whilst the vocals just glow and the rhythms seize and lift passions higher . The closing Overrated without doubt takes top honours, the punk n roll rampage an unstoppable juggernaut of feisty intent and breathtaking energy. Impossibly infectious, the track takes full control of voice and body let alone passion as it refuses to leave until you are joining in with its unbridled enthusiasm and siren heart. Midway through a totally unexpected break into a quite quirky moment which one would expect from a Faith No More, bursts free. It appears from nowhere and departs just as simply but works wonderfully as the mischief of the band leaves a final wink. 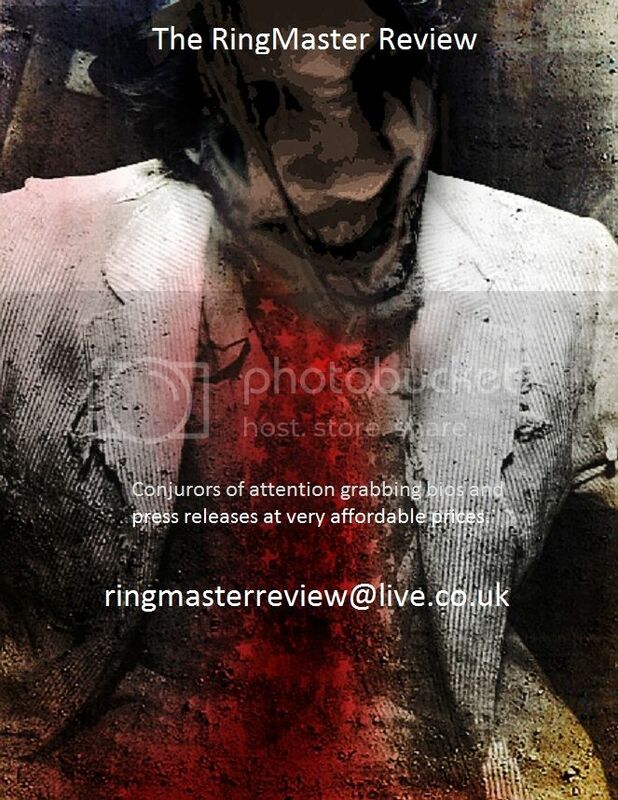 All Or Nothing is simply brilliant and Velvet Star one of the great new pleasures for The RingMaster Review this year, make them one of yours too is our only advice.